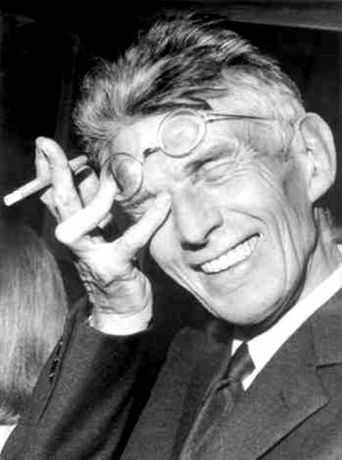 In one of his final essays, The Exhausted, a reading of Samuel Beckett that was published as an accompaniment to a number of Beckett’s works for television, Gilles Deleuze characterised the adoptive French Irish writer’s combinatory poetic style as a “relentless Spinozism” with little further qualification. The figure of the exhausted and the operation of exhaustion that Deleuze follows throughout Beckett’s writing culminates in a stance towards language that is, as critic Raymond Bellour has noted, “utopian”: “blanks for when words gone.” Taking Deleuze’s essay and its slightly cryptic reference to Spinoza as its starting point, this paper will explore the ethical and aesthetic dimensions of exhaustion and the concept of refusal to which it is related. Andrew Goffey runs the Centre for Critical Theory at The University of Nottingham. He is the co-author with Matthew Fuller, of Evil Media, the coeditor, with Éric Alliez, of The Guattari Effect and with Roland Faber, of The Allure of Things. He is the translator of Isabelle Stengers and Philippe Pignarre’s Capitalist Sorcery, Félix Guattari’s Schizoanalytic Cartographies and Lines of Flight. For Another World of Possibilities. He is currently working on books on Guattari and on the micropolitics of software.